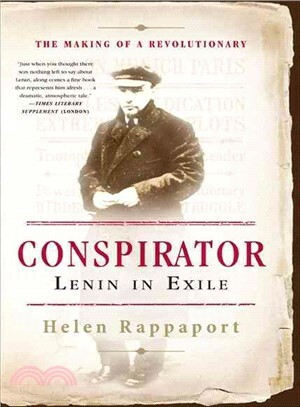 Helen Rappaport’s Conspirator is a vivid account of Vladimir I. Lenin’s years of exile in Europe, showing that this often-overlooked period shaped the life of one of the 20th century’s most important figures. In the years leading up to the Russian Revolution, Lenin traveled between the capital cities of Europe, developing a complex network of collaborators and co-conspirators that would play a significant role in the struggle to come. Rappaport sheds a rare light onto Lenin’s early life, describing his relationship with his wife, Nadezhda Krupskaya, and his extraordinary and unexpected love affair with beautiful activist Inessa Armand. In a riveting narrative, Conspirator describes the courage and the comedy, the setbacks, schisms and disappointments, the extreme persistence and the ruthless dedication that carried Lenin and his colleagues along the inexorable path to the Russian Revolution. Helen Rappaport is a fluent Russian speaker and a specialist in Russian history. In 2002 she was Russian consultant to the National Theater’s Tom Stoppard trilogy, The Coast of Utopia, and translated many plays by Chekhov. She is most recently the author of The Last Days of the Romanovs. She lives in Oxford, England.